Tiki Solitaire is a time based variant of the popular Solitaire card game. In only 45 seconds you have to put as many cards as possible onto the piles. Unlike the klondike version of the game, in Tiki Solitaire you are able to sort cards in ascending and descending order to the piles and the color of the cards doesn't matter. 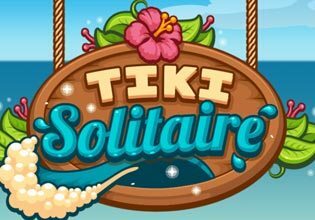 The Tiki Solitaire game challenges you ability to make strategic decisions in a split second and of course your perception. Do you have what it takes to reach the highscore?Play Tiki Solitaire now for free and enjoy this fast paced and action packed card game!